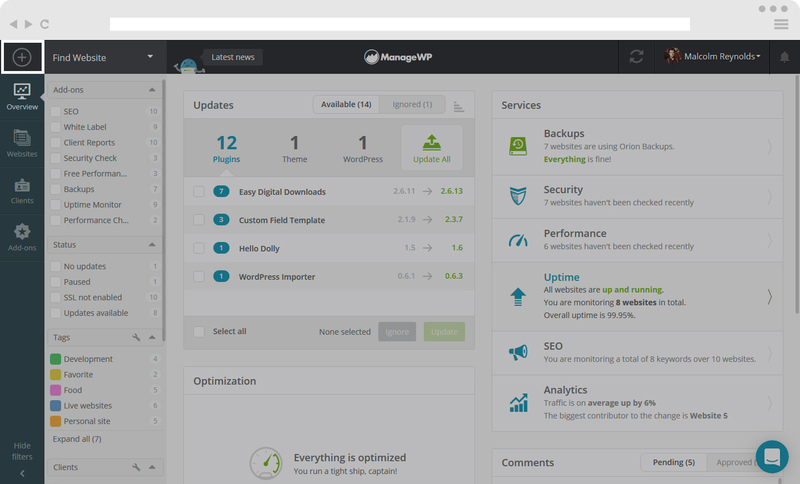 Adding your website to ManageWP is easy, and the combination of the Worker Plugin and our SSL security makes sure that your sites stay secure. When you log into your ManageWP account, you will see on the top bar of the dashboard the Plus Icon, located in the top left corner. Tap on it. There are two ways to add your website – with or without Worker plugin already installed on your website. 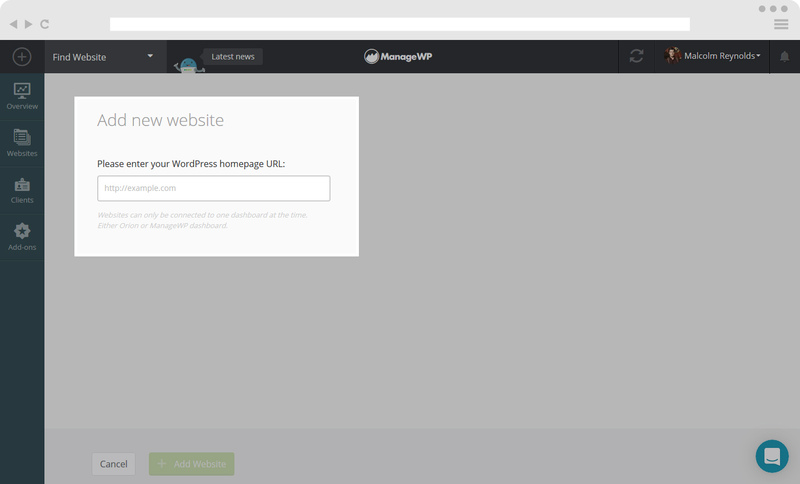 If you have the Worker Plugin installed and activated on your website, you need to insert your website URL (in this format http://siteURL.com or https://siteURL.com) as well as your username and password. If prompted, enter your connection key. Connection key is located on the plugin page of your website, under Worker description. If you do not have an installed and activated Worker Plugin, you will have to complete an additional step before adding your website. 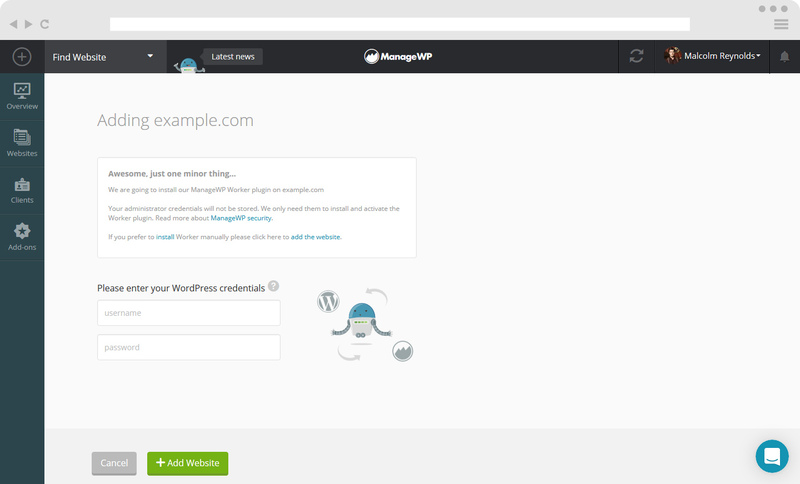 You need to add in your wp-admin credentials, which will install and activate the Worker Plugin. You are done and your site is added.